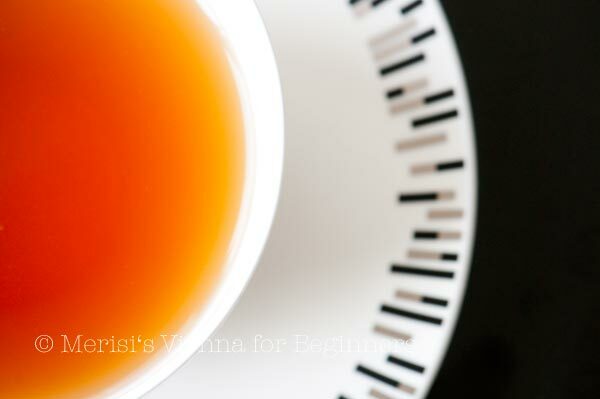 Earl Grey I (Black Tea from Sri Lanka). Ah Mozart in the morning!! looks like a soup to me. I love that you are drinking Early Grey! Drinking tea clock wise !!! Stylish, - and a very nice cup of tea! Thank you for the music too! There is beauty everywhere. I like this image which is ordinary but this photo challenges us to look differently at things we see so often. Having found you and having never been to Vienna so will appreciate your offerings. ah...Heissenberger....a sweet and wonderful place. Coffee is Demel across the path. Tea is Heissenberger. Love the picture, and so right with Mozart. Bliss !